« Facebook applications – who are you giving access to your facebook profile to? 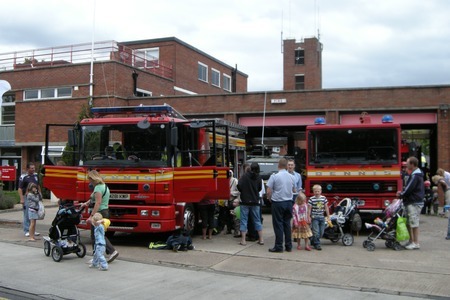 Having visited Evesham Fire Station open day in 2009 I took the kids along to the open day again during 2010. The event was similar to last year, but with a few changes. There was still good representation from the other emergency services including police, ambulance, air ambulance and a speed camera van. Instead of the fire services emergency response lorry there was a aerial rescue demonstration and they didn’t have the demonstration helicopter on display. 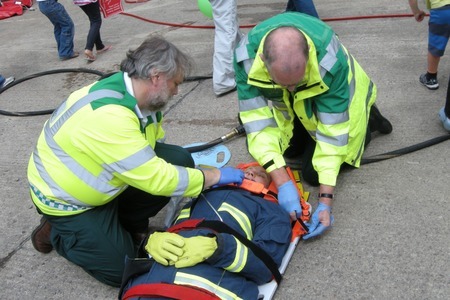 I’ve put some of the photos of the fire station open day up on the emergency services gallery and I’ll be adding some video of the car rescue demonstration in future. This entry was posted on Wednesday, August 11th, 2010 and is filed under Babies, Children, First Aid, firstaidquiz.com, Redditch Worcestershire. You can follow any responses to this entry through the RSS 2.0 feed. Both comments and pings are currently closed.